I've always wanted more out of life than the average person. I'm relentless about pursuing what I'm called to do. It shows in the profession I chose, the passions that I pursue, and the plans I have for the future. My goal is to never stop getting better at what I do, and to change as many lives as I can along the way. I WILL change the financial lives of my followers for the better! Sometimes achieving your goals feels like an uphill battle that never ends. But when you see even the smallest results, that tells you you're on the right track. It spurs you on to the next small victory, then another until they start turning into big wins. So, when will the really big wins start happening? The big wins may start happening sooner than you think. Or they might start happening later, after you've put in your 10,000 hours. But I do know this- if you are relentless in the pursuit of your goals, the big wins will come. How do I know this? because I know a basic truth about winning. 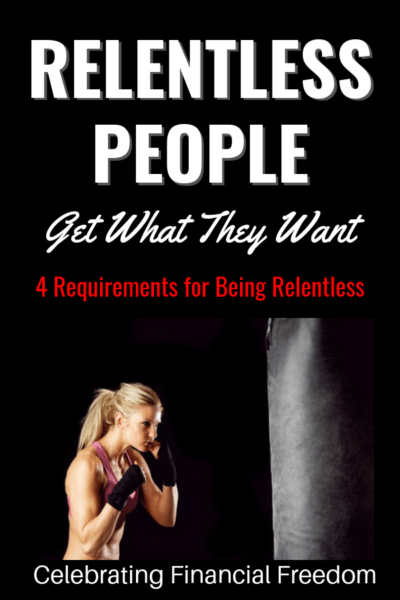 That truth is that Relentless People Get What They Want. How many times have you dreamt of a great idea, started exercising, or quit a bad habit? Then you pursued that goal and let your efforts wane after a short time? We've all been guilty of it. I've done it dozens, maybe hundreds of times. What kinds of results did I see from those efforts? Little to none (as you would expect). Why is it that so many things we start never amount to anything? It's because we don't pursue them relentlessly. What does it mean to relentlessly pursue a dream, an idea, a new habit, or a new life? It's also about facing the obstacles that inevitably get in the way. When you go after goals that will change your life or change the world, it's not easy. Being relentless also means being patient. You must understand that if you consistently do everything you can to succeed at your goal, your time will come. Finally, it means pursuing the goal even if others don't get it. Some may think your goal is crazy, stupid, or not worth it. But they're not you. They don't want what you want. Such relentless pursuit of a goal makes people uncomfortable because it reveals a lack of passion in their own lives. Get around other people who are in relentless pursuit of their goals and you'll find people who understand, people who are willing to support your efforts. How do you know that being relentless works? We have many tremendous examples all around us. From the biblical stories of Jacob (starting in Genesis 25:19), Moses (starting in Exodus 2:1), David, and even Jesus, who overcame great obstacles to become great men, to modern day relentless pursuers such as Team Hoyt, Rudy Ruettiger, and Erin Brockovich. These are ordinary people who were relentless in achieving their goals. Because of their total refusal to listen to the haters, they achieved things that the rest of the world has deemed extraordinary. So what is your dream? What were you born to do? Is it to raise great kids? 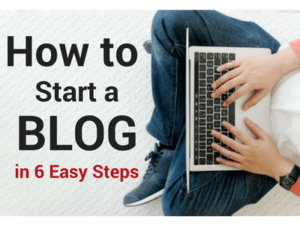 Start your own business? Feed the hungry, save souls, get out of debt, or become so rich that you have diamonds to keep your other diamonds company? Whatever your dreams and goals are, when you become relentless and decide that you'll walk through any obstacle and endure any pain to get what you want, no matter how long it takes, you WILL achieve your goal. What is your most important goals right now? What are you doing right now to achieve that goal? Dream -What Are You Doing About Yours? Nr 1# dream? Build a childrens home in India. I have done two things that I know of. I know two women that moved to India. The first I helped get a job, when she waited on the visa, the second I helped paid off the student loans. Good deeds will always come back to you! Keep it up! This article is so true. Look at those who have made their lives better and set a positive example for others. Giving up is not an option if you have a dream in your heart. God will help those who help themselves. He will do His part and you have to do your part as well. If someone doesn’t “get It’ when you tell them your about your dreams, then that is something inside them, not you. You never know what you can accomplish unless you try. For anyone who has posted here and you have a dream, I wish you All The Best. Good Luck! Thanks for the comment Judy! You’re right, you never know what you can accomplish until you try. My number 1 goal right now is to pay off the student loan debt my wife and I have accumulated. We are just getting started, but we are developing a budget in which we “relentlessly” pursue paying off our student loan debt. We will do this through frugal living and smart money choices. 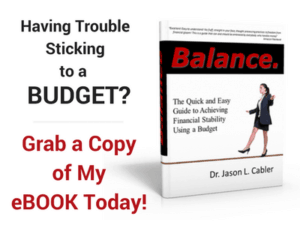 I have also started a frugal living blog recently, and I am praying that over time I can develop the blog into a source of additional income that we can designate toward increasing our financial wellness. That’s awesome! Sounds like you have the right mindset to get the job done. 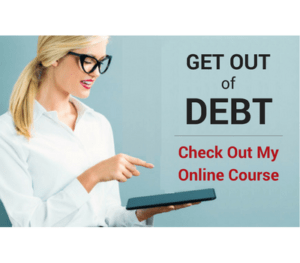 Anytime you can make additional income it really accelerates the get out of debt process. Great stuff here Jason! I love your four bullet points about what does it mean to be relentless. I’ve felt all four of those as I’ve recently pursued running, with the goal of completing a marathon in under four hours. Especially the last one about other people not getting your dream. Should see the looks I get sometimes. But others don’t have to get it. My dream is for me. Thanks for the encouragement! You’re so right, it doesn’t matter what other people think. Big goals make people uncomfortable. You have to move forward no matter who doesn’t get it. Nice post Jason, I could not agree more! I think amongst them, having patience is vital. It is so easy to give up when things get tough or when things get boring, but those that stick with it and continue to stick it out will be much more likely to see success. Sticktoitiveness, I think, is where most people run into trouble. It’s easy to be motivated in the beginning or when things are going well. But when obstacles get in the way, or things aren’t progressing as you’d like, that’s when the weak quit and the relentless ones tough it out and get to the next level. You can’t consistently make it to the next level if you’re not willing to do whatever it takes to get there. LOVE this, Jason! The only true way to failure is to quit trying. We are in the midst of a journey out of HUGE debt, and right now, like Mr. CBB said, moving the pile, rock by rock. It’s not easy, but we know that we will succeed if we continue to be relentless in pursuit of our dream. Great post! Nothing good comes easy, keep plugging away and I’ll be talking to a debt free Laurie someday. BE RELENTLESS!!! Most people say they will “try” when they should say they will stop at nothing to reach their goals. Saying you will try leaves room for failure, quitting and worse abandoning the goal altogether. If someone really wants to pursue their dreams, nothing will get in the way. A man who wants to move a mountain will move it rock by rock… patience is key. You said it brother! If you really want it, don’t leave room for excuses. Just get on with it and get it done, no matter how long it takes.